TTA is a leading provider of online and face-to-face education. Join today to participate in or to become a presenter of high quality courses. TTA often sends emails with special offers, details of the latest product updates and education tips. Would you like to receive these emails? Please tell us a bit about yourself so we may tailor your experience whilst you are visiting our site. Please verify you are a human to continue by completing the captcha below. TTA is a leading provider of online and face-to-face education. Login to participate in or to manage your courses. Can't login? Please enter your email address and we'll send you instructions on how to rest your password. Want 'more' iPad apps for your classroom, then this course is for you. 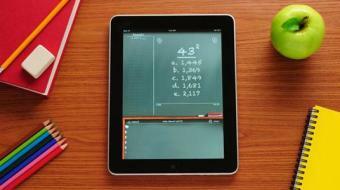 We’ll explore 10 fantastic, must have apps that will bring your classroom into the 21st Century. I created the first ‘10 must have apps in the classroom’ course out of a desire to provide teachers with some foundation apps to build confidence using apps and technology in their classroom. This course is the ‘another’ 10 must have apps in the classroom. The latest research tells us that teachers are more likely to use technology when they feel confident in what they are doing. Teachers want to know what to do with apps and how they can integrate them into their daily lessons. Teachers want to know how to ‘teach’ using the apps; and how their students can use the apps to demonstrate their learning. The next ten apps course will give you 10 apps to add to your technology ‘armor’. You don’t have to do the previous 10 apps course to do this one. Course Access - This course is available 24/7. Once your enrolment is complete you will be emailed with details to give you course access. You can complete the course when it suits you, and you will have ongoing access to revisit the course at any time. Have you considered a TTA subscription? - Unlimited online PD from $199 + GST per teacher per year. Money Back Guarantee - If you complete less than 25% of an online course and aren’t impressed, simply visit tta.edu/go/refund to let us know what happened, and we will cancel your enrolment and provide a full refund. You will be required to use an iPad during this course. We are looking at 10 apps during this course, but it is up to you if you purchase the apps or not. I will be providing links and videos so that you can see what the apps are like. Completing this course will contribute 6 hours of NESA Registered PD addressing 2.6.2 & 3.4.2 from the Australian Professional Standards for Teachers towards maintaining Proficient Teacher Accreditation in NSW. This course contributes to 6.0 professional development hours. In order to enrol, you need to be logged in. If you are already a member of TTA or have done a TTA course in the past, please click the "Continue" button below to login. If you cannot remember your password, we'll help you reset it. If this is your first TTA course, then we look forward to supporting you with your PD needs. Please take a minute to sign up. As a member, we can easily keep in touch and provide benefits, such as keeping accurate records of the PD you attend. We will only collect your name, email, mobile and areas of interest, and will not share these with any third party without your permission. Click on the "Continue" button below to proceed. Thank you for your interest. You have been added to the waiting list. Our team will contact you as soon as a place is made available at this or a future occurrence. During this section of the course, we will be exploring apps that can be used across the Curriculum and why it is beneficial to integrate apps that familiar, easy to use and interactive. When students become familiar with the resources, especially the technology then they are more likely to be motivated and engaged in the lesson. What are the benefit of art apps in the classroom? We will learn how to use these apps across many subject areas. Also become familiar with integrating photos, being able to manipulate the media and use photos in a variety of ways. This is a very big Module as it covers four of the most powerful apps that you can use in your classroom. All of these writing apps can be used not only in language arts, literacy and literature but across many curriculum areas as well. Sling Note allows you to read a web page and take notes at the same time. This is an essential resource to have in 21st Century learning. Scribble Press can be used for diary writing, general writing, creative writing, poetry and so much more. Has a lot of fantastic tools inbuilt into the app so that students can be creative with their work. Notability is an excellent app that can used to annotate PDFs, Word Documents and Powerpoints. Another great resource for students. Lastly, Book Creator is a ebook maker and allows students to create their own publishable ebooks. These can be integrated into lessons and used in all curriculum areas. These are also great for Entry and Exit tickets. Using technology opens up the classroom to collaboration like never before. We will be looking at Padlet & All Draw Pro to learn how to use these apps for group lessons, classroom collaboration, peer tutoring & mindmapping. Please note the feedback listed here is unfiltered, and includes all comments and ratings collected. High quality and to the point. Some great apps to use. I found some were more useful towards primary school and artistic/creative classes, whereas I was more looking for high school apps. I found some difficult, but that was more due to my complete inexperience in using apps before so I struggled. Some feedback was a little slow in coming, otherwise it was a good course to come up with ideas for class. It does rely on your school having the available resources in sufficient supply for students to use. A great course in and of itself and a wonderful follow up to IPads in the primary classroom. The content, tutorials, activities, and feedback left me confident that I can integrate these apps into my classroom and students work and help them achieve their outcomes in a highly engaging and relevant manner. Highlights for me were the SlingNote and Socrative modules. After reviewing the content and feedback and discussions with Karina and others in the course I will be using most of the apps covered in the course. Of most use were the collaborative apps: Padlet and AllDraw. I hope that I have already conveyed a sense of appreciation throughout the various posts in this course but once again thank you. The apps in my grab bag will prove highly beneficial to my students and self and am looking forward to gaining more experience with them in the upcoming term and next year. I now have a few more rabbits to pull out of my proverbial hat and new tricks up my sleeve. Karen Barley is an internationally recognized educational consultant specializing in the needs of children with autism and their families. She has over 25 years of expertise as an educator, private one-on-one consultant, course developer and educational technology specialist. Karen is especially successful connecting with children who have autism and creating behavioral, sensory and educational strategies that help children reach their full potential. Her highly personable style, combined with extensive research, knowledge and firsthand experience of the needs of children with autism, makes her extremely effective and innovative in tailoring individual solutions for families and their schools. Using new and existing approaches Karen integrates her pioneering work with iPad technology to create differentiated educational programs where children with autism can consistently experience success while learning. In addition, Ms. Barley is an accomplished and engaging, sought after public speaker and teacher trainer. She has shared her significant insights and knowledge on such subjects as, Technology in Education, Technology and Autism, Autism Awareness, 21st Century Learning, Technology and Curriculum Development and other subjects in the United States, Australia and as a keynote guest speaker for international face to face and online conferences. 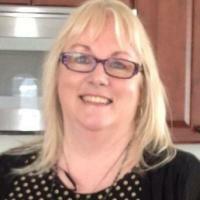 She is now undertaking her PHD and is a sessional teacher at Monash University.